You have a fabulous wedding theme planned and now you need theme wedding invitations to introduce your day perfectly! Invitations by Dawn knows just how important it is to choose wedding invitations that not only fit your theme but reflect your style as a couple. We also know that shopping for your wedding invitations by theme will make the process a whole lot easier and more enjoyable. We offer everything from beach themed wedding invitations for your destination wedding to rustic wedding invitations for couples who love the outdoors. 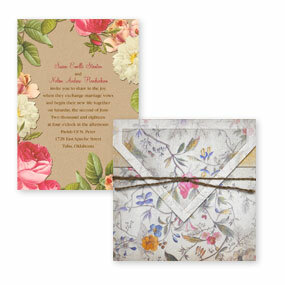 After browsing the themes above, perhaps you'll find you'd rather shop by wedding invitation collections. Whatever your passion, we have the wedding invitations to celebrate it.